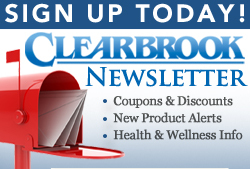 Clearbrook manufactures and distributes water filters and foods so you can live a healthier, safer, better life. Our continuous mission focuses on the development of dependable solutions that provide the greatest value to our customers. Clearbrook Survival High Performance Water Filter Bottle - 32oz. Clearbrook Survival High Performance Water Filter Bottle with Straw - 24oz. Clearbrook manufactures and distributes water filter systems and water treatment systems for any capacity, in any size, and for almost any application. Whether personal, residential, commercial, or industrial, Clearbrook has a solution to provide safe, clean, healthy contaminant-free drinking water.